12 to 32 White Peony & Lamb's Ear Wreath. 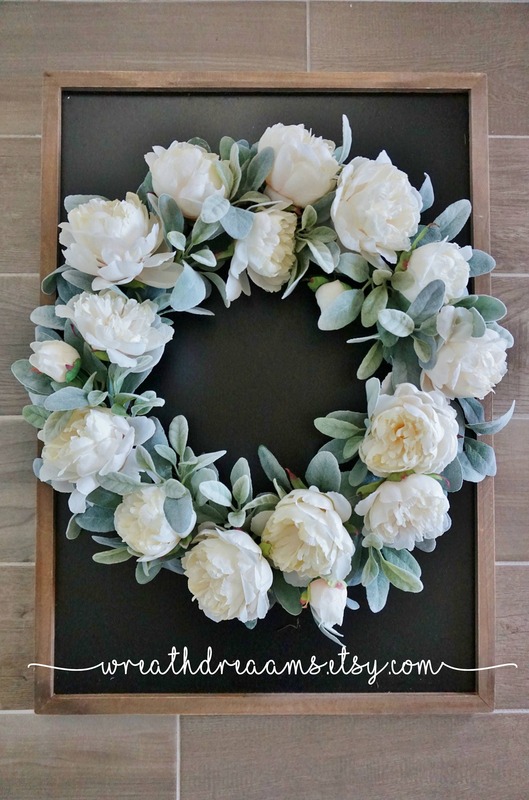 12" to 32" White Peony & Lamb's Ear Wreath. The delicate beauty of springtime lives on in this gorgeous Peony wreath for all seasons. Lifelike petals & lambs ears stems featuring a beautiful green color and a fuzzy realistic texture sends a year-round message of welcome. 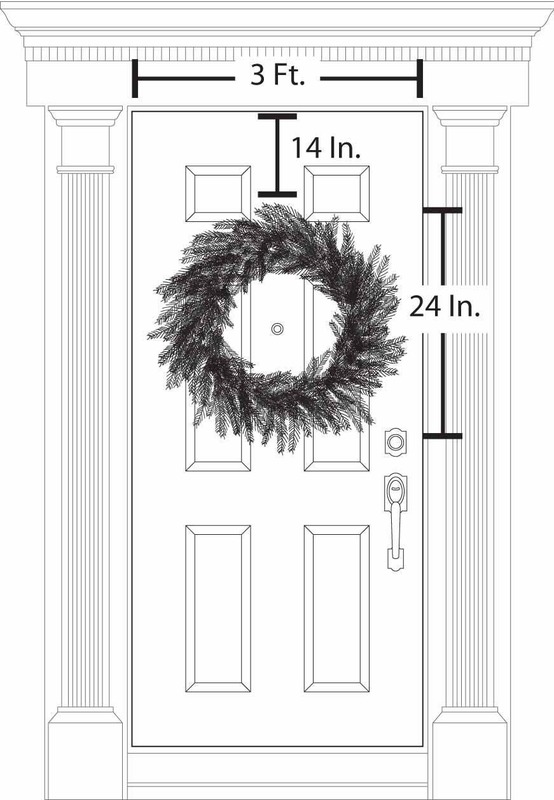 PLEASE NOTE: The wreath pictured is a large 26" wreath. 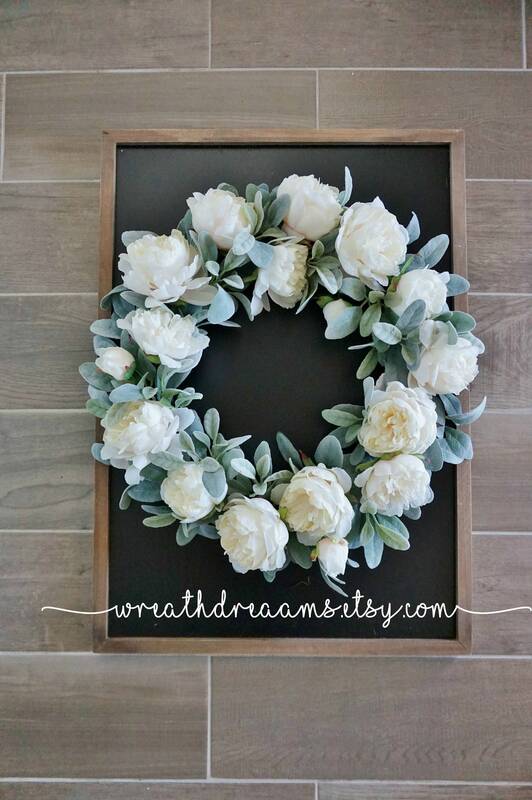 Number of peony bloomss will vary depending on the wreath size ordered. Thank you. 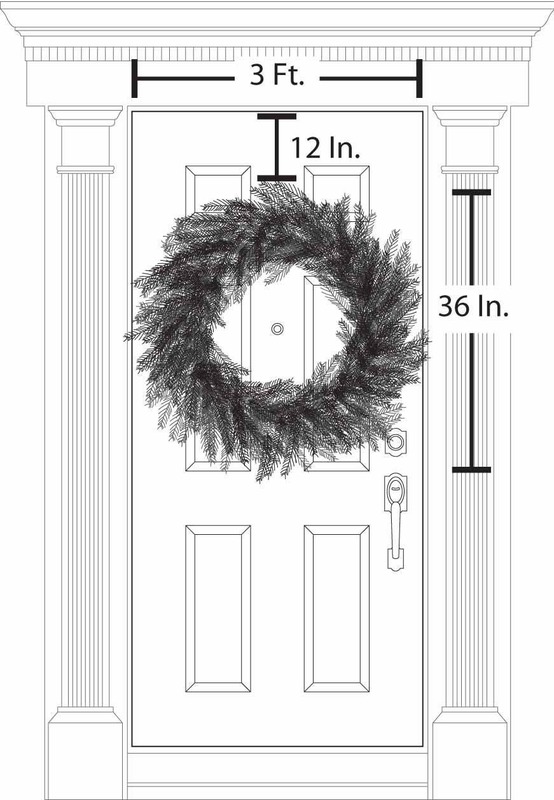 • Choose from 14", 16", 18", 20", 26" & 32" (measurement is from tip to tip). Gorgeous, high quality. Love, love, love!! Loved my wreath! Thank you!! Absolutely beautiful and securely packed, love it!